The mission of Craftin’ Outlaws is to expose the public to an alternative to mass produced products and to support local indie artists, crafters, and designers. Craftin’ Outlaws, the largest fair and longest running of its kind in Ohio, it is THE place to be whether a vendor or shopper. 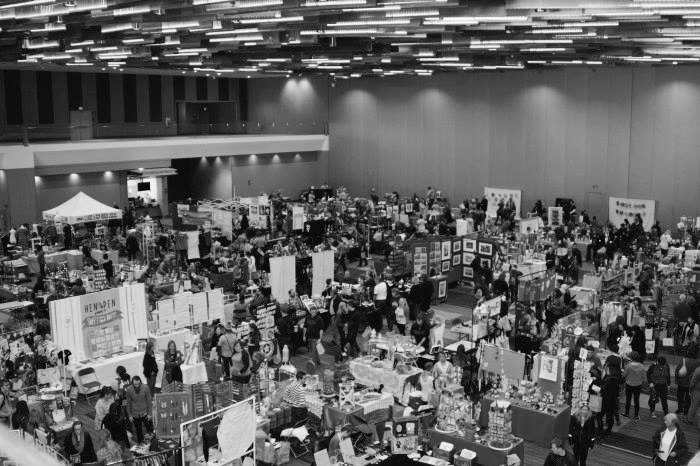 Now in it’s 10 year, Craftin’ Outlaws is an annual ‘alternative’ craft fair held in Columbus, Ohio. The first event, held in 2005 featured 50 fabulous and original artists, designers, and crafters selling their hip handmade wares to a steady stream of customers who were looking to purchase that one-of-a-kind gift for themselves or a loved one. Craftin’ Outlaws embraces the same methods and techniques that have been used for years, but are putting a modern twist to it.